The three ways to bring colors to images : RGB true colors at left, false colors in the middle, monochrome colorized at right. We call “true colors” images those realized with the usual RGB or LRGB methods. The notion of “true” colors is a debate in itself but I’m not going to get involved into it here. We will none the less define the colors as translating real physical phenomena, based on each detail’s albedo : colors in this case are objectives. 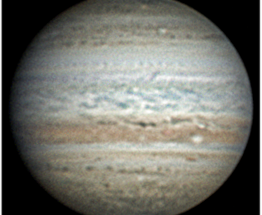 For example, the Great red spot of Jupiter will appear pink or orange because its clouds absorbs strongly the blue light, less strongly the green and almost not the red. True colors images play an important role in planetary astronomy. Because they are objectives, their variations reveal real physical changes on the planets. One of the best known example is the coloration in orange of oval BA in Jupiter in 2006 ; the shift of color from white to orange revealed changes that are still debated, like a higher vorticity and/or stability, but that are real. There are many other examples. Anyway, what you should keep in mind about colors is that they are a code of understanding. Colors help us to understand what’s going on on a given planet. False color images are still putting together various images, but in general we take them outside the visible range (RGB). They are done mostly with infrared and/or ultraviolet shots. The technique of color processing is the same than for true colors, but in place of red we are going to use infrared, in place of blue, ultraviolet… we may even include CH4 band. 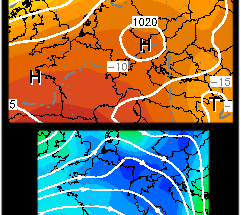 In red, we see the highest clouds, like the red spots (BA is visible) or polar hoods. The three images can be inverted easily : the tints would be completely different, but the interpretation will remain the same. This would not be the case for true colors, where if color change, so does the lecture! The interest of making false color images can be debated. The above use on Jupiter is interesting but the reading of the color code is not that easy. I’m still finding that looking at the individual monochrome images makes interpretation much easier. Some other cases are sometimes seen, but I’m quite skeptical about their interest. We often see some made with Venus images (with formulas in IR/synth.green/UV), but in the case of this planet we are mixing clouds layers that have probably little to share with each others. 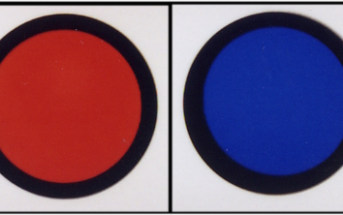 For example at left, what would be the interpretation of the blue color ? That of the red ? Above all, what is the meaning of combining the two together ? In every case, I think that the good attitude if you want to make a false color image is to ask yourself am I able to explain clearly, or to justify, the color code here ? If the answer is no, probably you’d better not doing it ;). On my side, I always feel uneasy with the idea of making color images in a purely aesthetic, subjective way. This last kind is scarcely found. In this case we merely colorize a monochrome, mono-band image (IR, blue…) with a photo software. For the first set of Jupiter images, I have for example colorized an infrared shot in red. Of course the original image is in black & white. For me, colorizing monochrome images have no real meaning, and do not bring any additional information, to the contrary of the two preceding kinds, because there is no code anymore, the color can be qualified as faked. I could well have colorized it in green :D. I find that colorized monochrome images hampers seriously my capacity to interpret images, above all if I need to make a comparison with another mono-band shot. What counts for a mono-band image is the variations of albedo’s, that reveal the variations of light absorption or emission of all the details. Color do not bring anything! Finally we must be aware that some unskilled persons could be mislead by faked color images, they could make a confusion with true color images. This is the case for example when we colorize infrared images of Uranus in green. Fortunately, in general people who are doing this are wisely specifying that the color is faked on their sets. At right, we can see two “color” images of Uranus : that in the middle is a colorized version of the IR image at left; the right one is a true color RGB. It’s easy to see that the last one do not show the band system caught in IR, none the less this is the one we should use of visual comparisons.